Instagram has officially hit the 1 billion users milestone, making it the third most widely used social media platform today. That figure alone is enough to send marketers running for the “sign up” button and devising strategies on how to win followers and business using the app. We’re here to shed some light on how homebuilders, developers and remodelers can do just that. If you’re starting from scratch on Instagram or just need a refresher on how to make the platform work for your brand, here’s a crash course starting from the very beginning. Your Instagram handle should match your usernames on other social media channels. Your username should be as close as possible to your business’ name. Keep it simple and easy to read. Avoid using numbers or special characters unless they are part of your brand. If your company’s name is taken, use modifiers like your city, state or country instead. Your Instagram bio is where current and potential followers can get to know more about your brand, what you do, where you work and how to contact you. It’s an opportunity to showcase your brand’s voice and personality, but choose your words wisely as you have a 150 character limit. Including a call to action to check out your available homes, portfolio or a blog post you’ve published, or contact you for a free consultation, takes your bio from a simple description to an action-driven element in your marketing. What’s more effective on Instagram, having stunning visuals or compelling copy in your captions? Jury’s still out on that one, but in our humble opinion, one doesn’t meet its full potential without the other. Your brand’s photos and videos must be eye-catching enough to stop your followers’ scrolling. Whether it’s before and after shots of a recently renovated home or a walk-through tour of your model home’s floorplan, be sure you’re putting your business’ best looking foot forward. 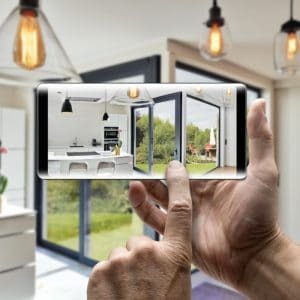 Instagram’s highly visual nature can prove particularly effective for homebuilders, developers and remodelers—you have everything you need to produce endless amounts of beautiful, engaging content. Don’t be afraid to be descriptive and informative, highlighting features your team installed in that newly remodeled home or what makes your development an ideal choice for young families. To this day, hashtags and how to use them effectively are one of the biggest mysteries surrounding Instagram (and all other social platforms for that matter). Put simply, hashtags are how Instagram users beyond those who follow your account find your posts. When you add a certain hashtag to your post, that image or video is added to a stream of content also using that hashtag. Sounds easy enough, and it can be, but how you use hashtags may depend on what kind of results you’re looking for. 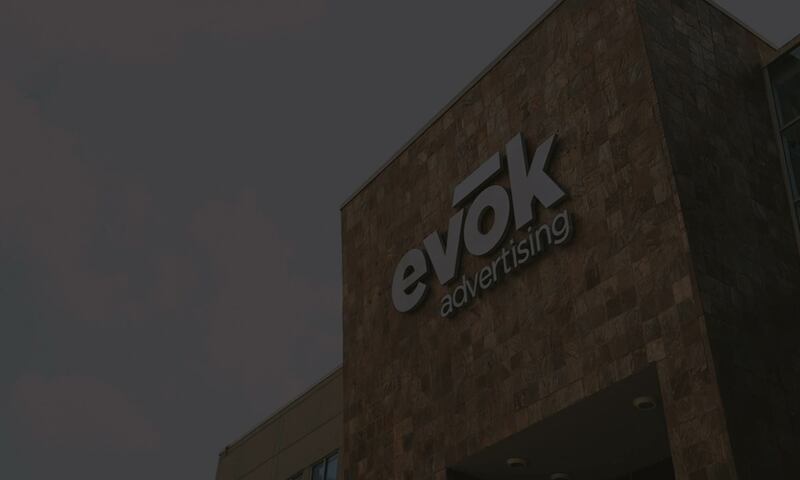 At evok, we use a combination of three hashtag strategies when managing our clients’ Instagrams—brand or campaign specific, trending and content focused. Brand- or campaign-specific hashtags may include your business’ name, tagline or social promotions you are running. Your brand hashtag can be used across social platforms and is applicable to almost any post you share on your profile. These hashtags can also be used by customers or brand advocates to share their own images or videos of homes you’ve built or your housing community, making them ideal for gathering user-generated content. Trending hashtags are just what their name implies—hashtags related to a popular topic. Needless to say, these are constantly changing so leveraging their popularity to boost visibility for your brand is time sensitive. Two things to keep in mind: only use trending hashtags that relate to your business and do not overuse these hashtags. Content hashtags correspond to the type of post you’re sharing on your profile. For example, an image of a new custom home your team built might warrant hashtags like #customhome or #Floridahomes (or other location-specific tags). You’ll want to focus on a mix of widely used hashtags and more specific tags with lower post counts—a post tagged #home might get lost in that hashtag’s feed within seconds while one with a more specific yet still widely used tag, like #modernhome helps your content stay discoverable longer. Instagram, as well as other social platforms, are constantly rolling out new features and ways to connect with followers. Instagram Stories and IGTV are two of the latest developments to hit feeds. We know what you’re thinking—do we really need to produce even more content for social? Our answer is yes. As brands, it’s important to communicate with audiences using the channels they’re spending time on. And the research shows about 60% of the app’s 500 million daily active users use Stories every day and IGTV’s recent release has already seen widespread usage. Although housed within the same app, Stories and IGTV call for two totally different approaches to creating content. Stories, which had a 24-hour lifespan before highlights were introduced, are much more casual in style and tone. This is where in-the-moment and behind-the-scenes content shines, like photos on-site at a new project or a glimpse into your company’s HQ and staff. On the other hand, IGTV presents the opportunity for hour-long videos with a higher production value, including home tours, interviews with design leads and episode-style content. At the end of the day, Instagram is a social media platform with an emphasis on the social aspect of it. Engagement is king on this platform, and your posts’ visibility is directly affected by the way users interact with your feed. And it’s not all about likes—authentic, quality comment replies are what show Instagram’s algorithm that your followers and other users find your content useful or entertaining. But this isn’t a one-way street. If you want your followers to engage with your content, you need to be proactive in your Instagram strategy. Follow relevant accounts and hashtags, interact with content that relates to your company or industry, and reply to your followers’ comments or direct messages as often as possible. Want more homebuilding marketing insights? Sign up for our monthly evoker and check out our posts on marketing homes to Millennials and how to advertise a new home development.